The so-called fiscal cliff, a creation of Washington politicians, means that a tsunami of tax increases and spending cuts will batter the American economy, due to, among other things, the expiration of the Bush tax cuts. As the United States is still coping with a severe economic crisis, and depends on structural mega-deficits to keep its economy afloat, the fiscal cliff threatens to derail for what passes for an economic recovery-one that is feeble at best. The hope of forestalling a major fiscal drag on a weak American economy is a compromise involving increased revenue generation combined with selective spending cuts. But the Republicans, who control the House of Representatives, and the Democrats, who control the White House and the Senate, thus far are unable to compromise. Thus, global markets watch in stupefied wonder as the American political establishment morphs into a circular firing squad, as witnessed with the latest shenanigan. House speaker John Boehner boasted that his GOP caucus would pass his so-called “Plan B,” which offered feeble tax increases along with far more massive social spending cuts, while leaving military spending increases intact. However, even a token tax increase limited to only those earning more than one million dollars per annum, was more than the Tea Party stalwarts of the GOP could stomach. Instead of a vote, Boehner embarrassingly withdrew his own “Plan B,” and in the process turned what passes for the modern-day Republican Party into a laughing stock. Meanwhile, America’s creditors watch nervously, as the political games in Washington continue undiminished, while thoughtful economic policy takes a back seat to ideological priorities. Amid tepid economic growth that can only be maintained by massive fiscal deficits, the political establishment in Washington DC, especially within the GOP, is looking increasingly dysfunctional to a world in which America’s economic dominance is likely to be surpassed by the new emerging economic giants, China and India, perhaps within the next 10-20 years. Unless a moment of sanity can prevail in Washington, whereby economic policy is crafted by real economists instead of fringe ideological movements, the fiscal cliff that will ensue will contribute significantly towards the permanent economic decline of the United States. Japan’s Priorities Post-Election: Economic Crisis or Nationalism? Three years ago, Japan’s Democratic Part came to power, unseating the long-ruling Liberal Democratic Party on a promise of political reform. Now, the Democratic Party has been unceremoniously kicked out of power by the same Japanese electorate, and the LDP has come back to power in a landslide. LDP leader Shinzo Abe, the new prime minister, won the election with a promise of being tough with China on a territorial dispute involving several desolate islands. Abe also claims that the economy will be his number one priority. But Shinzo Abe can’t have it both ways. Japan, still stuck in a two decades old “L” shaped recession, certainly realizes how important China is for the faltering Japanese economy. China is the number one buyer of Japanese exports, and the trade between the second and third largest economies in the world in the largest two-way export and import relationship in the world. Heightened nationalism in Japan targeting China will inevitably drive a reciprocal response from China’s equally bellicose territorial nationalists. The result would be a sharp deterioration in the trading relation that would hurt both China and Japan, the latter far more heavily, given the character of its long-enduring economic crisis. Japan’s Abe will either have to backtrack quickly on his tough talk regarding Sino-Japanese relations, or accept that such a dangerous course will only make matters worse for the ailing Japanese economy. Since its founding in 1996, Al Jazeera has emerged as one of the most visible global news conglomerates. In addition to its Arabic network, the news broadcaster also has a strong connection with a worldwide English-speaking audience through its sister network, Al Jazeera English. Though owed by the state of Qatar, a Gulf emirate not known for its respect of freedom of expression (a Qatari court recently sentenced a dissident poet to life imprisonment for “insulting” the nation’s Emir in one of his verses), through skillful management Al-Jazeera has achieved notable progress in building its brand as a source of objective and serious news coverage. During the recent outbreak of hostilities in Gaza between Israel and Hamas , unique for an Arab broadcaster, Al Jazeera provided coverage from the Israeli as well as the Palestinian viewpoint. A manifestation of Al Jazeera’s effort at objectivity in its coverage of that recent conflict was an on-air interview the news broadcaster conducted with Ali Abunimah, founder of The Electronic Intifada, who proceeded to denounce Al Jazeera for allegedly being biased in favor of the Israeli cause. “Revolution United” is a laudatory exploration of members of an extremist fringe group of Japanese Marxists, known as the Japanese Red Army, who decided to join the Popular Front for the Liberation of Palestine, for the purpose of conducting an operation against Israel. Though the documentary never defines what is meant by “operation,” the history of the PFLP makes clear that its operations were almost entirely directed against civilian targets in Israel and Europe, the objective being to slaughter as many non-combatant men, women and children as possible. The PFLP itself represented the Marxist faction within the Palestine Liberation Organization, at a time when the Palestinian movement was dominated by secular nationalists, as opposed to its current reality where Islamists are the increasingly dominant factor. In the late 1960s and early 1970s, extreme Marxist movements involved in terroristic activities worldwide viewed the Palestinian cause as an anti-capitalist, anti-imperialist struggle, and the Japanese Red Army were by no means the only militant leftists who travelled to the Middle East to seek glory for the working class through attacks on Israeli civilians. Lod was the name of Tel Aviv’s international airport in 1972. On May 30 of that year, three members of the Japanese Red Army, under instructions from the PFLP, arrived at Lod Airport, opened violin cases they retrieved from the luggage area, withdrew submachine-guns and grenades, and proceeded to attack the tourists in the arrival terminal. When it was over 26 human beings lay dead and another 79 were injured. However, watching Al-Jazeera’s documentary, one would not realize that the “Lod Operation” was a terrorist atrocity, designed to commit mass murder against international travelers at a civil airport. Instead, “Revolution United” portrays the killers as idealistic heroes, and their deed as an epic achievement. In Al Jazeera’s documentary, the victims of the massacre do not exist, except noting in passing that 26 people were killed, and that “some” of the slain were Puerto Rican Christian pilgrims. In actuality, of the 26 tourists murdered by the Japanese Red Army on May 30, 1972, 8 were Israeli, one was Canadian and the remaining 17 victims were Puerto Ricans with U.S. citizenship. To this day, the event that occurred in Tel Aviv forty years ago is regarded in Puerto Rico as a great national tragedy. In 2006 the Legislative Assembly of Puerto Rico unanimously passed an initiative that will forever mark May 30 on the Island of Puerto Rico as “Lod Massacre Remembrance Day.” Even after the passage of four decades, the wounds inflicted on many Puerto Rican families remain raw. Al Jazeera, precisely because of its strides towards objectivity in its newscasts, is disappointing in its decision to present a superficial, ideologically-scripted propaganda piece to its viewing audience, with the sole purpose of transforming mass murderers into heroes and presenting the atrocities and war crimes they committed as noble and epic “operations.” Al Jazeera owes it not only to its professed commitment towards journalistic integrity, but to all the victims of the Lod Massacre, in particular the still grieving people of Puerto Rico, the presentation of a truly objective documentary, one devoid of ideological bias in favor of those who would kill the innocent in pursuit of an extremist ideology. Results just released show that in Q3 of 2012 Japan’s economy contracted by nearly 1 percent, marking the second consecutive quarter of shrinking GDP. 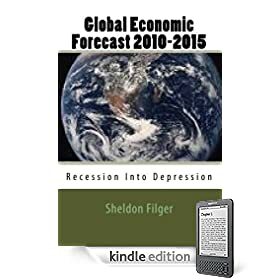 This data meets the technical definition of an economic recession, and actually continues more than two decades of recessions interspersed with bouts of stagnation and marginal growth. Japan, currently the third largest economy in the world ( and for most of the past two decades the second largest) is trapped in a maze consisting of an L shaped recession driven by poorly conceived policymaking over the past 20 years. With its publicly subsidized zombie banks, the highest public debt to GDP ratio of any major advanced economy, worrisome demographics, unstable politics (another national election is looming), bad luck ( the Tsunami and earthquake) and growing friction with China put Tokyo in a vulnerable position. Further shocks could easily slide Japan from recession to full-blown economic depression. Despite official claims from Dublin that Irish consumer confidence rose slightly, the economic outlook for Ireland remains extremely guarded. The economy remains mired in recession, with the Organization for Economic Co-operation and Development (OECD) stating that Dublin’s economy is forecast to have grown by 0.6 percent in 2012, essentially zero growth, with a government deficit exceeding 8 percent of the nation’s GDP. The OECD is suggesting that Ireland, which like several other PIIGS countries is surviving on a taxpayer-funded Eurozone bailout, be allowed a delay in austerity targets if growth remains stagnant, meaning the goal of cutting the deficit to GDP ratio down to 3 percent by 2015 may have to be further pushed back. It should be recalled that the root cause of the fiscal and economic disaster suffocating the Irish nation was the decision by Dublin’s politicians to force the country’s taxpayers to guarantee the debts of Ireland’s private banks. By socializing the losses of the private banking sector, the ruling circles in Ireland have condemned their fellow countrymen to many years, and possibly decades, of financial misery.